While you wouldn’t describe my personal fitness routine as dedicated to the cause, I am partial to a fitness trend. Yoga is an enduring love, I’ve flirted with barre, attempted reformer pilates, intermittently revisit cross-fit, and have now learnt that when it comes to stress-relief a good run is more therapeutic than browsing Net-a-Porter or ASOS. So I was keen to ride the wave of the latest fitness craze to hit our shores – Rowing. 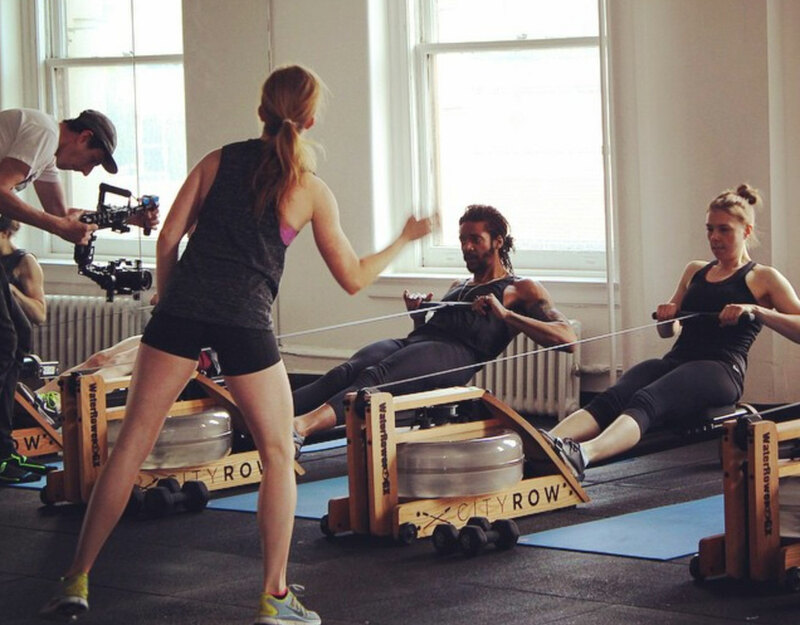 Boutique rowing studios have been slowly nipping at the heels of cult sweat centres like Soul Cycle and CrossFit in the fitness motherland, New York. Combining a cardio heavy workout with arm and back toning capabilities, this next-gen rowing craze is starting to make the same impression on Australian shores too. Nested in the hustle and bustle of Sydney’s CBD, despite being only three months old, the studio has already amassed a dedicated following. It’s main point of difference? The whirling, metal machines found tucked away in the abandoner corner of the gyms are gone, and instead replaced with a water-operated rower so you can actually hear and feel the sensation of rowing on water. The result is a noticeably more enjoyable workout. However, that doesn’t mean that it doesn’t pack a punch. Five minutes in and you could feel the burn in your glutes, quads and arms. So how what’s the caloric damage each session? In a 45 minute session you can expect to burn “300 to 400 calories per 45 minute session which is great considering it’s a toning and cardio session”, while a 45-minute, strictly cardio, rowing session can burn 500 plus calories. “Each stroke is 60% legs, 20% core, 20% arms,” says Aldridge, “you’re going to get a total-body, high-intensity workout, that’s still low-impact on the joints”.